Beyond “vacation art” . . . This season of the year finds many artists visiting family and friends. My spending time as a traveler without the suppletory activity of creating art makes for a less than satisfying experience. 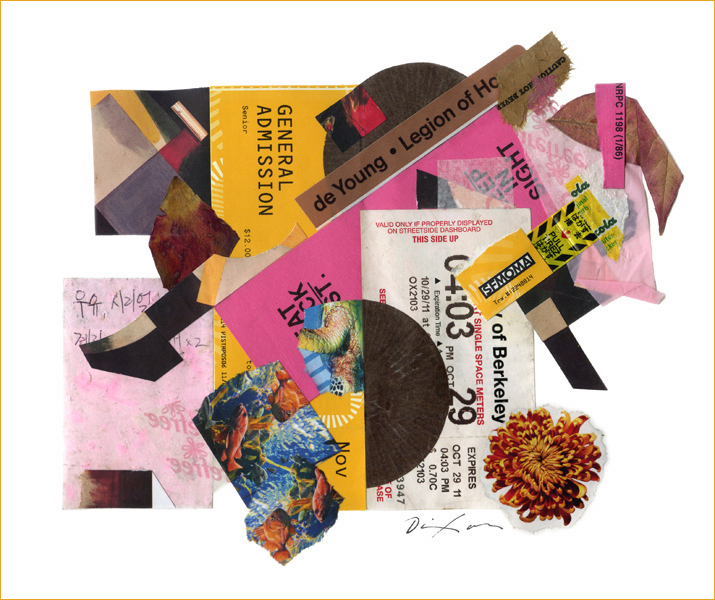 Visiting new places or returning to familiar haunts is noticably deficient if not combined with sketching or assembling ingredients for a collage experiment. Of course, we all need to relax now and then, sharing time with people who mean the most to us, but many of us also recognize a price to pay whenever the creative urge is asked to take a back seat for any length of time. What better opportunity than a change of environment to infuse our investigations with a fresh dose of spontaneity? The sabbatical is a time-honored tradition for creative people, which brings to mind Cecil Touchon’s remarkable Paris Papers. But in contrast to this kind of planned artistic get-away, there is also much to be gained by a custom of fusing the influences of short-term travel with an ongoing artistic process. This makes me think of the highly publicized collage artwork of American architect Richard Meier. 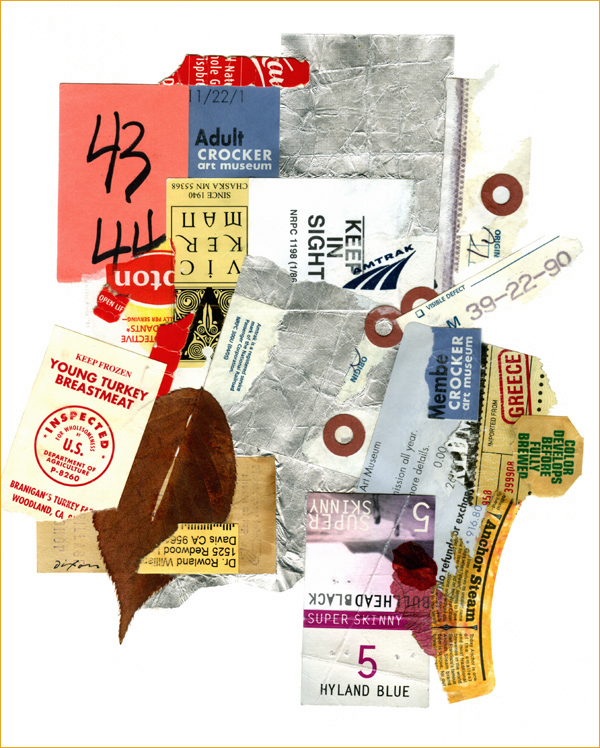 I saw something years ago which suggested the collage-making proclivity that runs parallel to his professional practice developed from the found material he acquired crisscrossing continents as an in-demand designer, and that many of the early works were created on airliners. 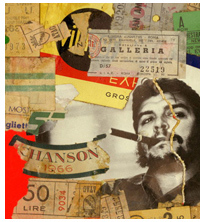 I remember being impressed with his wooden case, crafted to accommodate several square working surfaces plus the modest number of accourtrements a collage artist requires to do one’s thing. No doubt his days of transporting blades and scissors on aircraft are part of the past. The status of being a celebrated architect has provided Meier ample “rare” opportunities to showcase examples of his collage. Whether or not the eventual significance of his work within the medium will prove commensurate with the attention it has already received remains a matter of opinion (like nearly everything in the art world). You are currently browsing the archives for the R Meier category.